Show Me The Movies: Review: Con - Compelling first feature by Tralee native Bertie Brosnan! 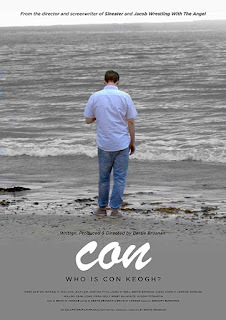 Review: Con - Compelling first feature by Tralee native Bertie Brosnan! 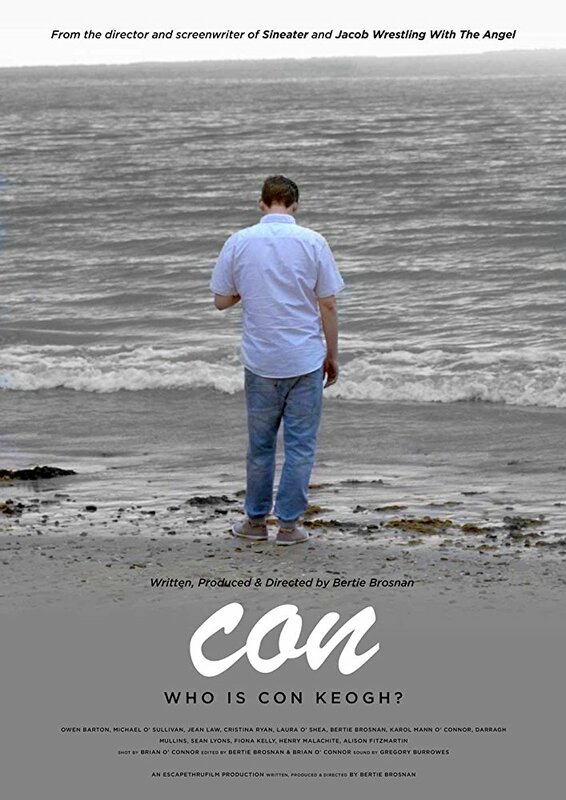 Written, produced and directed by Tralee film maker Bertie Brosnan, CON tells the story of Con Keogh, a successful filmmaker and actor, who, upon leaving a secret rehab for alcohol abuse, agrees to take part in a documentary directed by his first cousin, Andy. The documentary is about reuniting Con and his estranged father Michael after 25 years but with emotions running high, the production takes a few unexpected twists and turns. Made for the paltry sum of €7,000 local film maker and star of CON, Bertie Brosnan, demonstrates quite remarkably that you don't need a big budget or huge resources to create a telling and relevant piece of film and with CON soon available to Irish & International audiences through Vimeo , ( along with all his short films) Bertie's entrepreneurial spirit is also relevant in the marketing and distribution of this compelling story. Showcasing his home town of Tralee with great beauty, Brosnan has produced his first feature (after various successes in the short film scene) with due care and diligence taken in dealing with sensitive subject matters and this is helped in no small part by assembling a strong cast of supporting players. Jean Law, Owen Barton and Michael J.O'Sullivan add gravitas to the feature but it is Brosnan himself as the protagonist Con that is a shining light throughout. Achieving a rapturous response on it's a previous public screening at Siamsa Tíre, Tralee in 2016, CON will soon be available to a much wider audience though Vimeo and this indie feature is one to surely please the masses. Great credit is to due to local film maker Brosnan, who not only has created an interesting and fascinating piece on film but has also done so by promoting his native homeland by showing it in a magnificent light thanks to some wonderful cinematography. To create this film on such a small budget also demonstrates the drive, determination and talent of a film maker with a bright future (as well as a glittering past) ahead of him. Above all, CON should act as shining example to all film makers out there, that with a vision and conviction in that vision creating meaningful film is something that shouldn't succumb to financial constraints and for that Bertie Brosnan and company should be applauded! What movies to watch this Easter weekend?